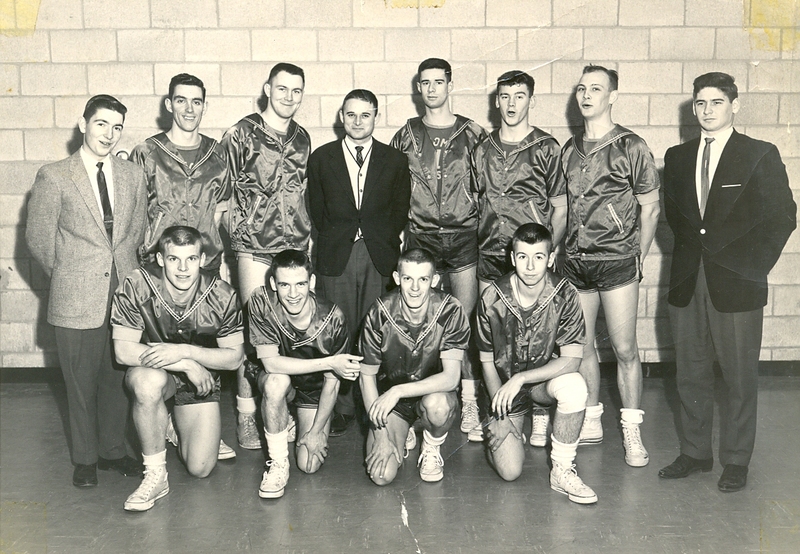 Wally Bernard, Tom Bridgeo, Fran Brideau, Don Clavette, Fran Dunn, Bill Eagan, John Egan, Tom Egan, Bob Fitzgerald, Ken Gould, Paul Hargreaves, Vince Ireton, Lester Johnson, A. McConnell, John Moore, Bill Moynaugh, Pat Murray, Terry Murphy, Mike O’Brien, Hugh Peters, Mike Reid, D. Roy, Vince Ryan, Pierre Sallenave, Brent Taylor, Ron Wallace, Lyman Ward, R. Young. This list of names represents three years of excellence on the basketball court. 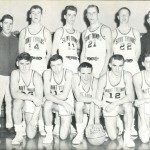 From 1962 to 1965, STU’s basketball team won the New Brunswick College Basketball Conference for three straight seasons. 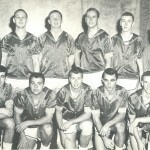 Back then, the team played a limited conference schedule, so in order to keep the team sharp, games were arranged with senior and military teams in the region. While they didn’t always win these exhibition games, they served their purpose – when conference play arrived, the Tommies were ready. Three coaches, three rosters, and three conference titles: the men who played varsity basketball at STU from 1962 to 1965 knew that hard work and practice paid off, first on the basketball court in the 1960s, and now as they make their way into the STU Sports Wall of Fame.